HI, friends! I am so thrilled to share that I will be a featured vendor at the White Magnolia’s monthly event, “Sip and See”! 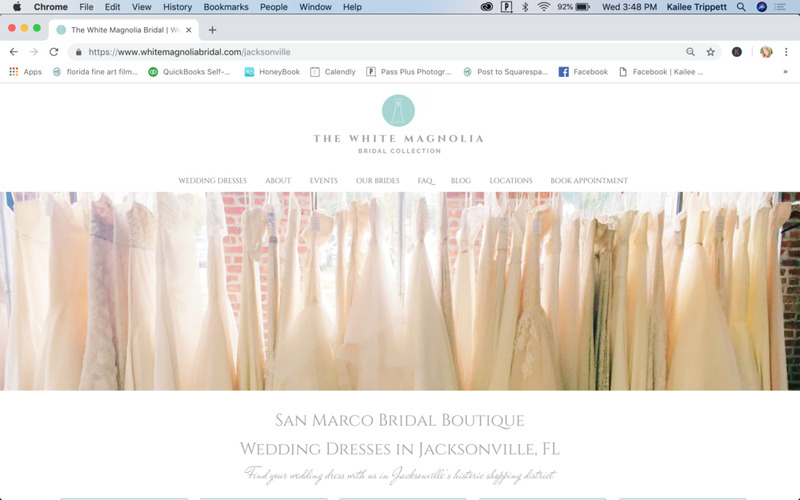 The White Magnolia is a premier, award-winning bridal shop that is poised to meet your most southern and chic wedding dreams! The shop manager, Mabry and I got connected on Instagram and it was so neat talking to her again because we had a few college classes together! I was beyond excited when she messaged me! The White Magnolia is a by-appointment only shop but the open their doors once a month for Sip and See, so mark your calendars to come sip on some sparkle, see some wedding dresses and meet some vendors! Will I see you there? !